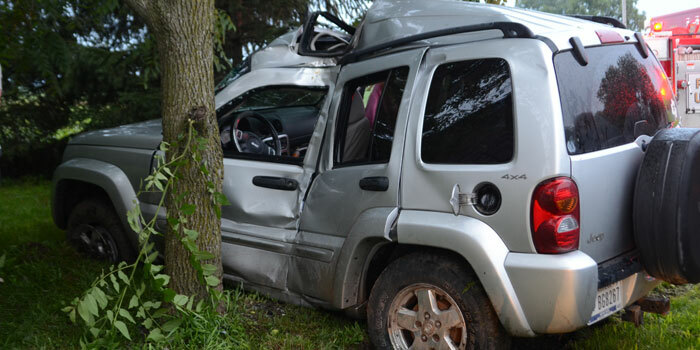 Alissa D. May, 17, North Grouse Court, Warsaw, suffered small lacerations to her left elbow, but refused medical treatment at the scene following a one-vehicle accident on East Harper Road, south of East CR 700N, Leesburg. The accident was at 8:26 p.m. Friday, June 26. May’s mother advised she would be taking her to Kosciusko Community Hospital for further treatment. May was eastbound on CR 700N, nearing the curve at North Harper Road when her vehicle struck loose gravel on the roadway. She lost control of her vehicle as it entered the curve. The vehicle went off the left side of the road, hitting a tree with the driver’s side of the vehicle. May was able to exit the vehicle from the passenger side before medics arrived. Damage to May’s 2002 Jeep was estimated up to $10,000. Multi-Township EMS, Leesburg Fire and the Kosciusko County Sheriff’s Department responded.